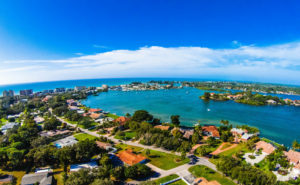 For homeowners whose intent is to reside primarily in Florida, the state’s homestead laws offer homeowners property tax relief. Under Florida’s statute, homestead eligibility is only available to: (1) individuals that own the property as of January 1 of the tax year; (2) who permanently reside at the property; and (3) who filed a homestead application with the local property appraiser’s office between January 1 and March 1 of the year in which the homestead exemption is sought. The homestead exemption can reduce a property owner’s tax burden significantly, so it is in the owner’s best financial interest to claim the home as a primary residence. However, if the home did not originally serve as a primary residence—if, for example, the property is owned by a corporation—and the corporation seeks to transfer title by quit claim deed to the corporation’s beneficial owner, the “new” owner should be prepared to pay a hefty increase in property taxes. This transfer can trip up the homeowner unfamiliar with the exemption’s requirements and Florida’s general rules about the transfer of property ownership. Under Florida statutes, the change in ownership from a corporation to an individual—or vice versa—will trigger a reassessment of the property at the current market value, even if the beneficial ownership does not change and any previous caps that were in place will be lost. If the owner files for the homestead exemption, the property taxes will be reassessed at the full market value, which could potentially increase the owner’s tax burden exponentially. Any changes, such as filing for homestead application, triggers the automatic reassessment; therefore, it is important to look at the difference between the assessed value of the home and the market value of the home prior to making any changes. Therefore, it is advisable that before making a decision about the appropriate means of title transfer, the owner should consult an attorney who is knowledgeable in both real estate and property tax law, to ensure that using a quit claim deed will protect the owner’s property interests and will not magnify the real estate tax burden on that home. There are many issues that arise out of this simple transfer but for purposes of this discussion we are limiting it the impact on property taxes only.